Griffin, who had played his most regular season games (75) since 2013-14, enjoyed a career campaign while snapping a four-year absence from the All-Star Game. Goodwell adds that Griffin will be listed as day-to-day for the rest of the series but there is a "slim chance" he will return to game action. There's no structural damage in the left knee, and it's unclear whether he'll need some type of minor procedure this offseason. 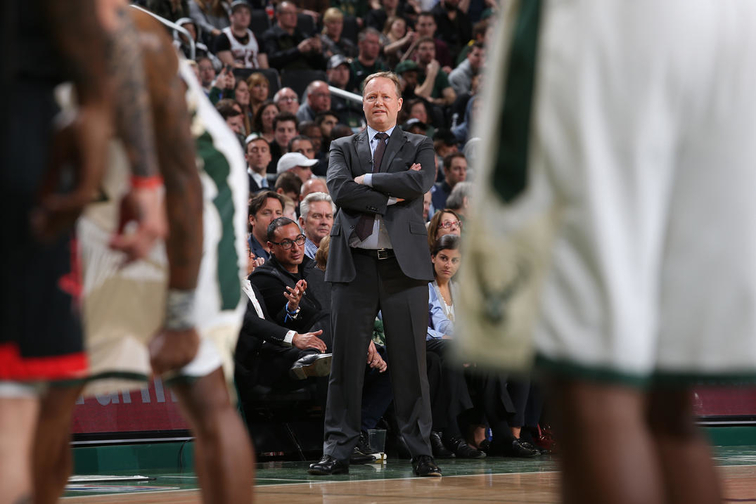 Budenholzer led the Bucks to a league-best 60-22 record this season, leading Milwaukee to its best season in almost 40 years. His team made a huge jump in every possible respect from last season; their win total went from 44 to 60, they have the no. 1 ranked defense after finishing 15th last season, and their offense is statistically the best in the league, an improvement from their middle-of-the-road status last season.